At the beach or on the go, this crab just wants to lend a helping claw. 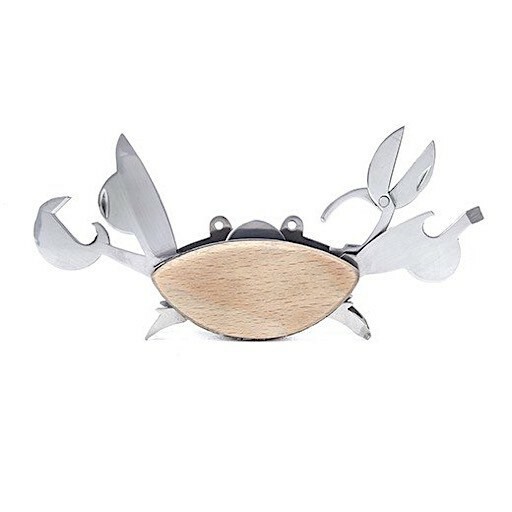 Grip his sturdy beechwood shell to utilize any one of his helpful stainless steel appendages. Comes with a mini scissor, bottle opener, 3/16 flat head screwdriver, can opener, mini knife, and rope saw.